I recently picked up a P10c in trade. Looked to be in very good shape. When I got home I field stripped it and began to clean it. Thats when I found this anomaly on the breech face. I don't know what it is or if its even safe to use. Anybody have any idea's? I'll probably contact CZ this week to see what they say. 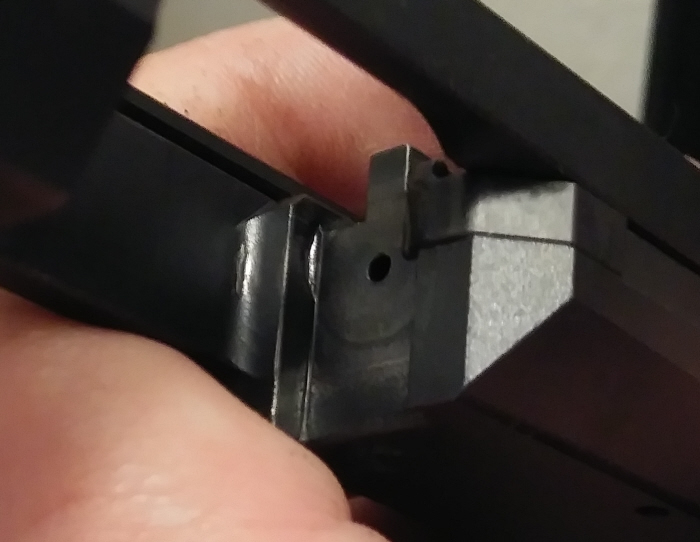 I'm new to CZ so I could use some advice please. Thanks. Looks a bit like the cut out in the breech face of a 75 and P Series variant slide. In a 75/P Series i assume that it is there to assist cartridge feeding. I do not have a P-10 handy to compare. Hopefully another forum member with a P-10 or more solid information will chime in to confirm or correct me. I have the same thing on my P10C FDE 2018 test fired. I have approximately 250 rounds through zero malfunctions. I think my P07 has it also. Is it 1st generation, Transitional or 2nd Gen? I took some photo I will process quickly. I think what you have is the normal cut out with an accretion of carbon buildup. Scrub that puppy clean, but even filthy, it won't affect your pistol. Looks like you might have a serious issue there..... just joking, go shoot the crap out of it.